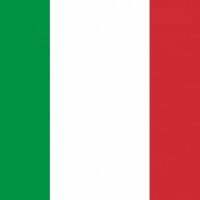 Italy, in italian Repubblica Italiana, is a unitary parliamentary republic in Europe. Italy covers an area of 301,338 km2. With almost 62 million inhabitants, it is the 3rd most populous EU member state. Located in the heart of the Mediterranean Sea, Italy shares open land borders with France, Switzerland, Austria, Slovenia, San Marino and Vatican City. The Capital and largest city is Rome. Other major cities are Milano, Naples, Turino, Venice, Florence. 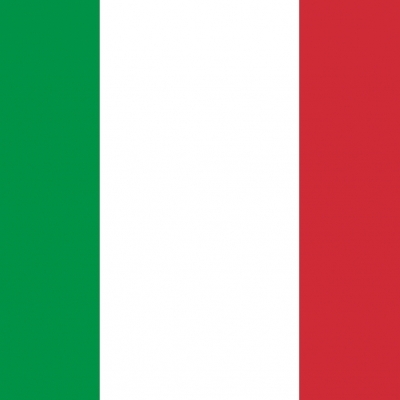 Italy's official language is Italian. The contribution of Italy to Western civilization is immense. Italy is the cradle of Etruscan civilization, the Roman Empire, the Holy See, the Maritime Republics, the Humanism and Renaissance. Along with Germany and France, it was part of the Holy Roman Empire (25 December 800 - 6 August 1806). Existing as a unitary State since the Risorgimento (renaissance or resurrection) in 17 March 1861, Italy is a republic since the abolition of the Italian monarchy by referendu, in 1946. Politically Italy has been a unitary parliamentary republic since 2 June 1946, when the monarchy was abolished by a constitutional referendum. The President of Italy (Presidente della Repubblica), currently Sergio Mattarella since 2015, is Italy's head of state. The President is elected for a single seven years mandate by the Parliament of Italy in joint session. Italy has a written democratic constitution, resulting from the work of a Constituent Assembly formed by the representatives of all the anti-fascist forces that contributed to the defeat of Nazi and Fascist forces during the Civil War. Italy is, in the XXI° century, a major player in the international arena, strong of its sixty-two million inhabitants and its position of seventh / eighth largest economy. Italy is a founding and leading member of the European Union and the member of numerous international institutions, including the UN, NATO, the OECD, the OSCE, the WTO, the G7, the G20, the Quint Group, the Union for the Mediterranean, the Council of Europe, Uniting for Consensus, and many more. It's one of the world's most industrialized nations, and a leading country in world trade and exports. According to the Human Development Index, the country enjoys a very high standard of living, and has the world's 8th highest quality of life according to The Economist. In 2016, Italy boasts the world's second best National Healthcare System, just behind France (WHO - World Health Organization, The World's Health Systems). Italy owns the world's third-largest gold reserve, and is the third net contributor to the budget of the European Union. Furthermore, the country holds 4% of the net global wealth and ranks fourth, only surpassed by China, US and Japan, according to the Credit Suisse Global Wealth Databook 2015. The economy of Italy is the 3rd-largest national economy in the eurozone, the 8th-largest by nominal GDP in the world, and the 12th-largest by GDP (PPP). The country is a founding member of the European Union, the Eurozone, the OECD, the G7 and the G8. Italy is the eighth largest exporter in the world with $514 billion exported in 2016. Its closest trade ties are with the other countries of the European Union, with whom it conducts about 59% of its total trade. The largest trading partners, in order of market share, are Germany (12.6%), France (11.1%), United States (6.8%), Switzerland (5.7%), United Kingdom (4.7%), and Spain (4.4%). Tourism: 52 million tourists ranks Italy as the fourth most visited country. Italy is the 3rd-largest national economy in the Euro Zone. Its gross product is 2.152 billion (2015, USD - Source: IMF).